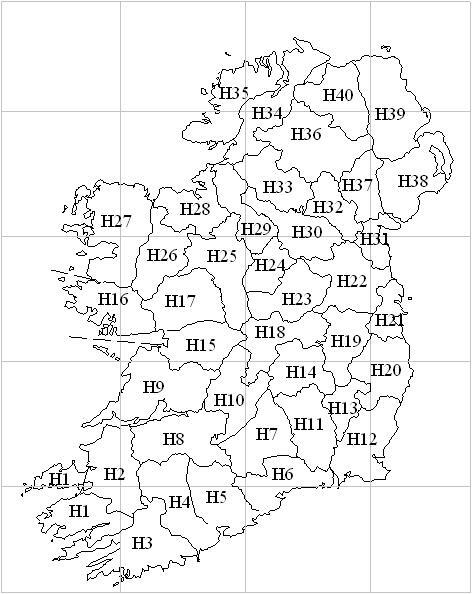 Below is a map of Ireland showing where the 40 vice-counties are. In the late 1800s, Ireland was divided into 40 regions for biological recording purposes. While on the whole the Vice-counties boundaries do follow the current counties, there are many exceptions. In the Botanic Gardens website there is an excellent online reference of how the vice-county system was formulated and detailing these exceptions and how the counties of Kerry, Cork, Tipperary, Galway, Mayo and Donegal are divided.